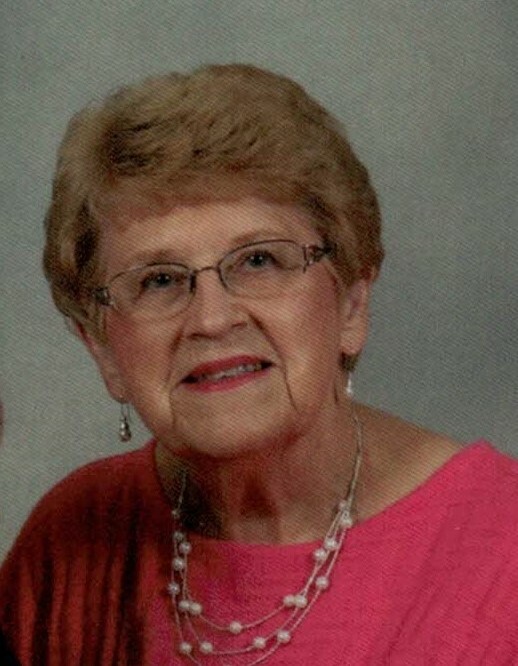 Joyce L. Boester, 79 of New Minden, passed away at 6:35 a.m. on Thursday, November 22, 2018 at Washington County Hospital in Nashville. She was born on July 13, 1939 in New Minden, the daughter of Edwin and Margaret Karmeier Harmening. She married Kenneth Boester on October 29, 1960 in New Minden. Besides her husband of 58 years, she is survived by a son; Kevin (Cindy) Boester of Murphysboro. 2 daughters; Lori (John) Lietz of Hoyleton and Faye (Daniel) Bedwell of St. Peters, MO. A brother; Don (Phyllis) Harmening of Centralia. 5 grandsons; Jason and Nicholas Lietz, Evan and Alec Bedwell and Kaleb Boester. 7 step grandchildren and one great grandson along with several nieces, nephews and friends. She was preceded in death by her parents and 2 sisters; JoAnn Weihe and Betty Wallace. Joyce retired as a bank teller at the Farmers & Merchants National Bank in Hoyleton. She was a member of the Trinity Lutheran church in Hoyleton where she was active in the chime choir, Ladies Aid and Lutheran Women’s Missionary League. She was the American Red Cross blood drive coordinator for Hoyleton for 35 years and was a volunteer at the New Minden Braile center. Funeral services will be held at 11:00 a.m. on Monday, November 26, 2018 at Trinity Lutheran Church in Hoyleton with Rev. Nathan Wollenberg officiating. Burial will follow in the St. John’s Lutheran Cemetery in New Minden. Friends may call from 5:00 to 8:00 p.m. on Sunday and one hour prior to services on Monday at the church. Memorial contributions may be made to Trinity Lutheran Church, the Ladies Aid, LWML or the American Cancer Society. Styninger Funeral Homes of Nashville and Hoyleton is in charge of arrangements.